There is more than one way to play online. The four online game modes in FIFA 11 are Online Team Play, Pro Clubs, and regular online head to head matches. All of those game modes are very fun and entertaining, so I reccomend you at least know about them. This tutorial will also include tips and strategies. Read more here. 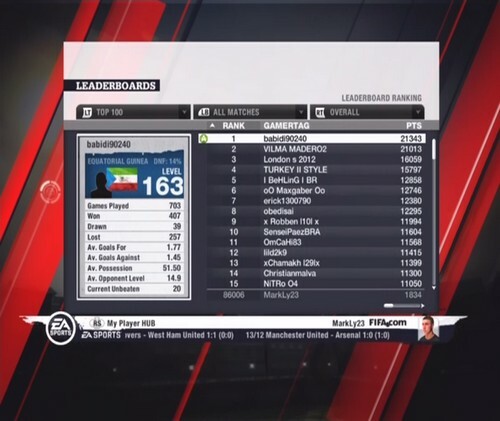 This tutorial answers many questions about Ranking like why you aren't ranked or what affects your online points reward after every match. Many people don't even know how to check their rank, but lucky for you, this article also goes over that. Read more here.